If you are a freelancer looking for work, you probably know how exhausting the task can be. However, there are freelance websites dedicated to helping professionals like yourself find work. In this article, we will list the best freelance websites on the internet. Freelance websites are platforms, were both people looking for work and employers post their offers. Being a freelancer is an excellent way to turn your talent or hobby into money. You have the freedom to apply for only the projects that you like or you’re good at. Needless to say, using these websites will help you set a solid start for your freelance career. They’ll assist you in finding first clients easily and earning employers trust along the way. Also, you constantly sharpen your skill by taking different projects from various employers. In the end, your portfolio shall grow and there will be many more job offers. Upwork offers tools to kickstart your freelance journey – collaborative space, built-in invoice maker, and transparent recruitment process. You might also be able to work for many famous clients such as Microsoft, Airbnb, Dropbox, etc. Anyone who is looking for flexibility in their jobs should definitely check this freelance website. Toptal is a freelance website which promises companies they can hire the top 3% of global freelancers. Surely, you can be one of them if you work hard enough in building your skills. One of the best things about Simply Hired is that you can browse freelance jobs in your nearby location. Additionally, there is a list of top salaries and a tool to estimate your fee. This is helpful to benchmark for a specific work you want to do. You’ll also be able to create a resume from the website and learn many things from their blog. This freelance website has over 1.5 million freelancers that used their service. Every worker will have a rating, which is a great promotion. People Per Hour is free for freelancers, but the competition can be very challenging. You should always improve and set a reasonable fee so you’ll be more likely to get hired. Aquent has won many awards as a freelancing firm. The freelance website is well-established and known to deliver high-quality workers for creative, digital, and marketing purposes. While Aquent states that they mainly accept someone who has 2+ years of working experience, fresh graduates are still welcome to explore their available jobs. And if you doubt how much your skill is worth, there is a salary guide to help you set your price. Crowded boasts it’s AI-powered recruitment process that will find the most suitable applicants for companies. This freelance website will rank everyone based on their price, experience, and skills. The feature is also great for workers so that they don’t have to manually apply to each job opening. Just let the algorithm do the work and then wait for the call from the employer. The freelance website makes it easy for freelancers out there to find a job they want. TCG, as it’s called, allows you to upload a resume or a LinkedIn profile to start looking for a job. Once there is an opportunity that suits your interest, you can try to apply for the job. Freelancers can showcase finished projects to the public so potential clients can easily pick someone whose creation sparks their interest. It’s an alternative that removes the need to contact workers one by one. What is more, Fiverr offers you free learning courses to develop your skills and teach you how to pitch to clients. This freelance website aims to focus on designer jobs – everything from logos to book covers. It also allows clients to start a contest that everyone in 99Designs can participate in. At zero cost, you’ll get a platform to showcase your work and improve your creative knowledge with its up-to-date articles. Nexxt categorizes the jobs search according to 4 criteria: career focus, local focus, diversity focus, and global focus. The third one is beneficial to accommodate a more inclusive work environment for everyone. With these categories, this freelance website also enables you to try various freelance jobs that align with your career path. If you want to become a freelance writer, Writer Access is the best platform. It covers all kinds of writing jobs, including online articles, case studies, tech papers, etc. This freelance website many tools such as content analytics, keyword optimization, and content planner to get more work done efficiently. Not all freelancing jobs are digital. 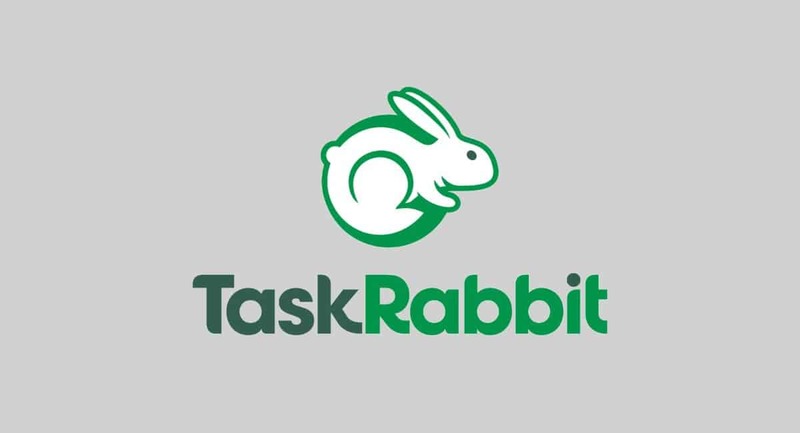 TaskRabbit is a freelance website that focuses on house work. Be it furniture assembling, moving and packing, plumbing, or anything else – you can find it on TaskRabbit. Loads of content marketing vacancies can be easily found here. You can register to work as a freelance content strategist, editorial manager, and so on. Furthermore, it doesn’t just serve US or English-only companies because Skyword has been trusted by clients from 27 countries with 13 languages support. This freelance website offers a transparent price upfront so clients can anticipate how much the finished design can cost. It’s a pretty useful feature as there is so many design work with different prices. This freelance website is the largest crowd-sourcing marketplace with 32 million registered users. To match that number, there are of thousands of jobs that you can opt as a freelance worker. You can register here for free and with hundreds of vacancies posted every day. After you sign up, you will be a part of 3 million freelancers across the globe in search of various jobs, such as web development, writing, architecture, and so on. Hireable gives you an opportunity to get a freelance job outside America or Europe with equal opportunity. It has a straightforward user interface and provides exactly what you expect from a freelance website: you get job alerts, recommendations, and see your saved jobs as well as the jobs you applied for. FlexJobs doesn’t only provide a platform for freelance work, but it also encourages everyone to try this career path. Furthermore, the freelance website collects jobs from around the world. At $14.95 a month, you get full access to its wide network of employers, various skill tests, and detailed description of every company. Being a freelancer means that you have more flexibility in choosing your next job while having the freedom of when and where to do it. Upwork is the overall best freelance website that has tools to support your career development. You should check Designhill if you’re a designer. Skyword is a global crowd-sourcing platform that fits freelance content and marketing workers. TaskRabbit opens up possibilities outside digital professions with its house-related freelance jobs. WriterAccess makes it easy for everyone who loves writing to make money out of it. Freelancer offers the largest network of remote jobs. Join Aquent if you’re already an experienced worker because the platform is made specifically for professionals. Nexxt provides a more diverse and inclusive platform for everyone with a different background to start looking for freelance jobs. With Fiverr, you can look for a job while still be able to improve your skill with its free online courses.